Experience Be Washington for the classroom or at home with a free app download. Available for iPad and Android devices. Download the application to your home or classroom's devices prior to gameplay. If you have an environment with a challenging WIFI setup, this will make your setup hassle-free. The Be Washington app is available for Android tablets and iPads. It is also available for desktop and laptop computers as an app for Google Chrome web browser. After installing the app, press the down arrow in the top left corner to download the video assets. This will make it so that you will not need to stream the video when playing which will enable quicker performance, easier setup, and a better experience in the classroom and areas with challenging or complicated web connections. Be Washington is an interactive experience in which YOU take on the role of George Washington, either as commander in chief or as president. 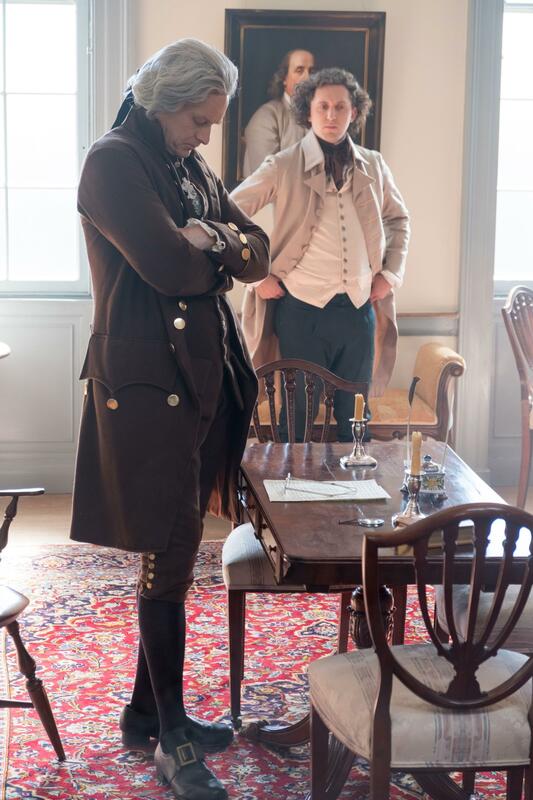 Come face to face with a leadership challenge, listen to advice from his most trusted sources, and decide how to solve the same problems Washington himself faced. Learn how Washington actually handled the situation, and see how other players voted. Teach Be Washington with these lesson plans and more ideas for your classroom.